Mohali in Punjab is a place to look out for. It is one among the wish list of individuals who visit Punjab. Blessed with breezy climate, amazing culture, the place is renowned for its amazing scenic beauty and amenities facilitated. The town of Mohali has turned out into the latest hub for investors and real estate developers. The Joynest Moh 1 is the newest offering from the renowned developers Sushma Buildtech Limited in Punjab. The newest project aids the buyers with the latest facilities and a luxurious living. The residential project is designed keeping in mind the needs of customers that meet the necessities of every inhabitants and buyer. Considering the growing real estate boom in the town, the prices of housing is all set to rise in the near future. 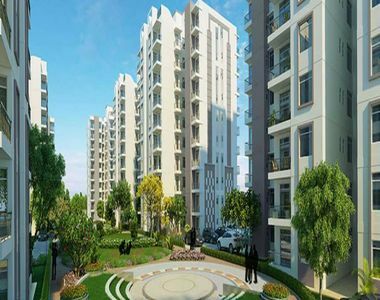 The apartments perfectly define the lifestyle of today’s Indian families from nuclear living to a big fat joint family. The houses are a complete symbol of comfort lifestyle that enriches the spirit of living together and enjoying life. 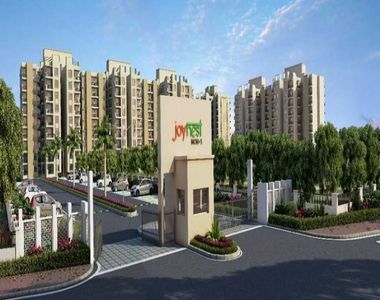 The Joynesh Moh 1 Mohali project offers residential apartments in 2BHK and 3 BHK configuration. It is built for today’s family making sure their facilities enlightening living experience by offering something for every age group. The apartments are spacious and windy. Who wouldn’t want to watch the scenic beauty of the surrounding? Whether elders or kids, everyone can splurge themselves with the amazement of the place. At a time, when the air is polluted with toxicity, breathing fresh air is no less than a luxury. And thus, the location fits perfect for modern day living diving into the beauty of the natural lush surrounding. The apartment is located at strategic points that connect the place with the nearby city and regions. The location is well surrounded with all basic and civic amenities from schools, Banks, ATMs, Clinics, Hospitals, Universities and much more. Apart from the internal facilities and the amenities offered external to the complex, the project has much more to offer the buyers. Considering the daily hectic life, filled with stress and tiredness, allotting time in recreational activities is not an easy task. The people are thus offered complete provision for keeping oneself fit and shedding away the tiredness. There are indoor and outdoor recreational facilities offered inside the complex. A well-equipped gymnasium, a meditation center, parks and clubhouses, multipurpose halls and much more. Now whether you wish to go for a long walk or jog in the morning, everything is provisioned explicitly. The shopping complexes nearby to the project is an eye catcher making shopping joyous. Located nearby to the airport and convenient traveling, the housing is a dream come true. In addition, the Joynest Moh 1 Price is not skyrocketing either. It is one great pick for all families. Provisioned with easy payment options, loans, and affordable rates, the project is one stop destination for all those who love to lead a luxurious and peaceful lifestyle amidst the greens.